Illegal mana in commander/EDH format? Can You Proliferate Time Counters? Can I stack Atraxa's Proliferate? 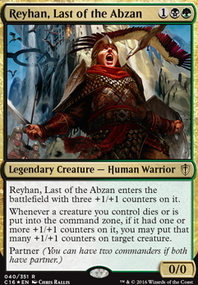 BUMP AS Shahrazad ISN'T BANNED IN CMDR, UNLIKE WHAT WOTC CLAIMS. I'll just try this one last time for 4 color Bonds. & I will use The 5 Bonds from WAR as a base. Let's go for the final time; I had to cancel a Superfriends/Avengers Primer just to get help for cutting over 40+ stuff. Pure enemies w/o a color they lack on their own are out. But what can 5 Bonds do? All Ilharging will be put in Charles Nelson Riley's Trash bin where the fanmail that rats on this topic will be thrown out over night; a night at a time. I'm afraid I have nil choice but to BUMP this Shahrazad of a nightterror. WAR's full roster is either almost finished, or complete; depending on its current status. Apparently, my Vorthos Deck based on MORTAL ENGINES isn't happening after all... Only 3/5 Colors are having Legendary Vehicles; all, Team America style. , & don't have any of this. 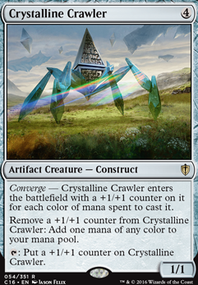 Very insulting as has quite the support of Artifice so much, so few of their Mono- stuff actually can kill something more "Alive" than Enchantments; which seem more natural that Artifacts if you ask me. Also, I really wanted to make a Mono- Artifacts matter deck; all while shaming the -related factions of the entire Multiverse; & beyond who think Nature is better than science; which it IS one. Has the MTG Team ever realized Progress is all of life, pure, impure, or, ANYTHING? Politics is one , isn't the only one who can do this from the start of 1993, Reanimation of the Dead, & Murder is also this , Immolating whole areas, even making a face also counts , & PLANTING TREES is a major example . So after all your Ilharging , I'm still trying to find a way for other guilds to work w/o the use of "Bonds"; in which, the other parts are no used to despite being of Shard Status. (Not correct either, bruh. ), much less the combinations that failed for that same Ilharging . I'll start w/ the obvious Azorius Senate . Azorius Senate & The Cult of Rakdos = Nope. Lawmages already arrested many performers of such illegal acts; maybe even Massacre Girl , & her Plagiarists. Azorius Senate & Gruul Clans = DAMMIT! Surely the Gruul has some degree of control! They sided w/ the Boros Legion ; who are quasi-allies with the Senate! Kirei Kotomine: This is how it ends. A momentary Distance in time. Well, I guess I might be of a genius of Plane creation than all 25+ Years of MTG creation as it is. Remember, those 4 Color CMDRs weren't made by accident. I'll leave it to you guy to find a kind of Mono Color CMDR for each type that was ommited from the 4 color identities. This is want I want to use for the job. 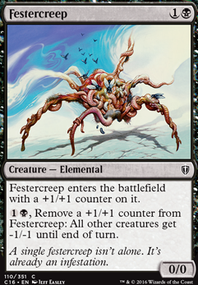 That, & I actually plan to make a LUDESIA, SPIDERING WITH SCRAPPING Vorthos Deck instead. Now it is your turn. I actually wanted to do all 5 of these; but in the Mono Color excluding them for each kind. If these ideas for 4 Color Faction Descriptions for a foreseeable Plane are stupid, how would you tell me how such groups would work better. MaRo stated (According to someone...) MTG R&D has no plans for this; but the evidence for this is everywhere! A Mono- Chaos Deck. A Mono- Aggro Deck. A Mono- Group Hug Deck. A Mono- Counters & Tokens Deck. & A Mono- Artifacts Matter Deck. I've also thought about making a Top 10 ways can do better in cEDH, Card Creation Challenge. Yep, I'm challenging Me, Myself, & I for this; though I might need help from the cEDH Community as these cards must have qualities WotC have allowed in both , , & , while still being good. All plans set in stone, Since I want to go anti-wheel (Color Wheel obviously.) on this, what might be your best bet for each Individual Mana Color? That's a really good point SynergyBuild. The release of Atraxa, Praetors' Voice made Doubling Season spike about 20$. 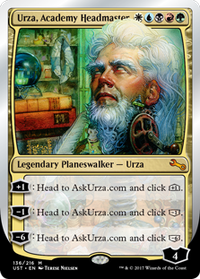 I can't imagine how expensive it would become in the weeks following a rule change to allow all planeswalkers to be commanders. All Bonds are that of Allied 3-Colors. This could've been fixed very easily w/o a problem. In 2 other ways also! We could have the Wedge-Style Colors straight out of Pre-Dragons of Tarkir sets of the Tarkir Block. 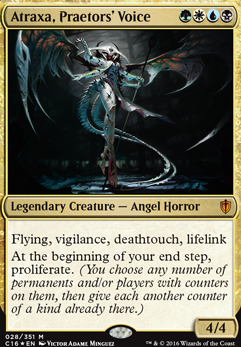 Hell, we could've even had an Homage to the Nephilim (I don't fragging care about those cards; they are just as Rip-Easy like Nicol Bolas during the Legends Set; oh, & you all need to give Brawl more of a chance than ever; Oathbreaker's only flaw is actually the biggest that they had; Choose a Walker, BUT, you are also forced to use their key card representing them; which not all Walkers have. Just Play Brawl at least; it's more balanced, behaves the same as Standard, & CMDR Damage isn't a true problem anymore. & = Life is also a kind of Progress, like all of everything. The Selesnya Conclave may be , but their agendas are actually comparable to Licht Kreis of Under Night IN-BIRTH fame, having an agenda though in control, is a perfect example of Peace-Loving Religious Extremists that would definitely at least earn the alliance of either The Golgari Swarm, &/or even The Orzhov Syndicate . Yep, This Religious Conclave is PRIME Abzan Material. 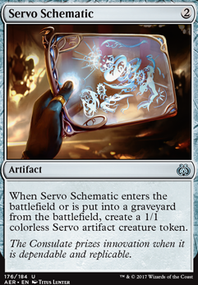 Both the Izzet League, & the Selesnya Conclave are true villain groups at heart, & progress is literally all Dimensional layers; not just our 4D (Yep! I'm not kidding you! If we're in 3D, our world would be motionless at the status we're at. Dimension 4? Time; as in a Passage of Standard Time. It best resembles Cones on the vertical dimension. But what is Dimension 5? XP) status we're in. Progress is Mathematics. Progress is Life. Progress is even Infinity Transcendence. "All these people in my life... I don't want to lose anymore! & I won't give up this universe of hours! (God Gundam turns Gold, & nullifies DG Urube's attack.) (DG Urube: Uhh...?) Masters Taught me that! Our Great Homeland! OUR PRECIOUS PLANET EARTH! IS THE HIGHEST FORM OF LIFE!" See? That is not hard at all to think about! Here's another if you wish to have a good idea; oh, & if this is too much, don't fret! I'd still be happy anyway if WotC even did Wedge Alliances. & = Somebody tell that idiot Teysa Karlov The Gruul Clans are much better than they were after "That Cyclopean Beast" died after some time. Just because The Gruul Clans are Savages, doesn't mean they aren't without some kind of mind; Shamans. While actual Barbaric members just want to strike at anything they see, the Shamans are pretty much the intelligence Gruul has. Suffice to say, The Orzhov Syndicate demands Money as a Mafia-Like Gang, & if you have none, prepare to have a Blood Tithe oversizing More than 100% of all your blood you will ever have your entire life. Blatant Hypocrisy. While the Gruul Clans are savage indeed, the Orzhov Syndicate demands your loyalty to them, or you'd have to pay the rest of aforementioned Tithe as a Spirit; Departed Souls. 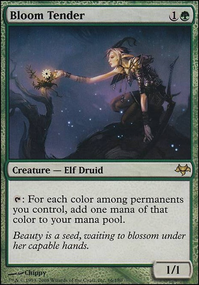 So, how can MTG's Worst Character ever (Hint, Everyone loves her but me. & is .) Support the Gruul Clans' cause? Not even The Titans from AEONS ago would've thought of this; those who the Gruul Clans kill alone, are already; supposedly, becoming Departed Souls as well. This could apply to all guilds actually; even when the Ghost Council of Orzhova , & Obzedat, Ghost Council were all killed by Kaya, Bane of the Dead . Shamans are meant to come in contact with the realm of the dead; Spirits both good & evil. But what to do with the more barbaric of the Gruul Clans? They've wanted to kill the Plane of Existence they're feet have been on in the first place! Well, oddly, This Mafia had more Action Extorting others as they drain their blood for profit, & their Growth only made them the supreme Monetary Group in the Multiverse. The Orzhov Syndicate & The Gruul Clans are not so different than you'd think. "Let me clarify the economics for you Gina. Sensational patients bring recognition. Recognition brings money. And money keeps Wellhaven's doors open. You should be thanking me." Better than the MCU version by a MILE! 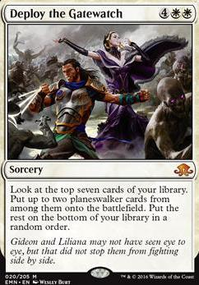 So... Maybe Teysa should thank Domri Rade after AEONS of Genocide? I, mean, The Gruul Clans are far better than the Guildless anyway. & = Momir Vig, Simic Visionary is a bigger villain than Rakdos, the Showstopper altogether. After the former's death (? 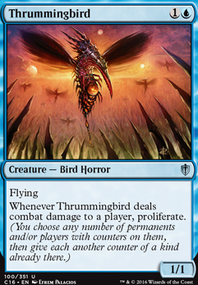 ), The Simic Combine eventually brought up Prime Speaker Vannifar , who alloed the Simic Combine more freedom for creature creation; given the guidelines of said Guild. This resulted in more chaos than Momir Vig could only dream of doing; & Their Selfishness from the bias from other Guilds, actually prove both the Simic Combine, & The Cult of Rakdos, aren't so different as they would believe to be. "All souls are equal and alike, and have the similar nature and qualities." What Atraxa, Praetors' Voice deck should I invest to rebuild? +1/+1 counters or superfriends? Tend to play the counters deck more as its a less combo based spike deck for me to play at softer tables. Thoughts? DemonDragonJ Yep but I am thinking of replacing my Contagion Clasp with a Karn's Bastion I removed Spread the Sickness a while back it just was not worth the cost reward pay off but yes Wanderer's strike is a better version. I was pumped about proliferate coming back but so far there are only two worth considering in my current Atraxa, Praetors' Voice deck and then i am not even sure they are Flux Channeler is cheaper less powerful Inexorable Tide ; now Roalesk, Apex Hybrid seems liek it may have a bigger payoff in a game and is more intriguing. I am hoping for a proliferate payoff card that I am like that is going in my deck. 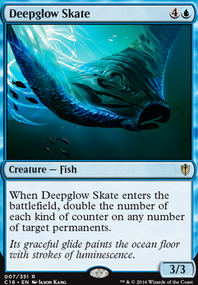 Sad I was more pumped about Simic Ascendancy which is in my deck now then what i seen of the proliferate cards. Atraxa, Praetors' Voice has become much more expensive because of this set, so I am very glad that I purchased a copy of her when her price was low. Wanderer's strike is strictly better than Spread the Sickness , so I shall replace StS with it in my Atraxa deck; I wish that I could have both cards in that deck, but I cannot, for the same reason that I cannot have both Gavony Township and Karn's Bastion in that deck: there is not sufficient room for all of those cards. cdkime, I completely agree with you about that, and I shall also add that that is how I feel about Ob Nixilis, as well. 8 cards? Well My choices are as follows, it's certainly a hard choice to narrow all of my favorites down. I have been playing since Journey into Nyx. Prophet of Kruphix - Was one of the leading cards in my first ever Magic deck that I built to play casually and for a time I played it in my first commander deck led by Vorel of the Hull Clade until it's later banning. Ugin, the Spirit Dragon - One of my favorite planeswalker cards of all time that I play both in my modern tron deck as well as Atraxa, Praetors' Voice commander deck. Can turn a game around so easily, his power cannot be denied. Omniscience - One of the reason I always liked this card was simply for it's art, and I enjoy doing splashy, big plays in commander especially in decks like my Kruphix, God of Horizons . Westvale Abbey Flip - Was a card that I built an earlier casual standard deck around involving Blisterpod , Cryptolith Rite , and other eldrazi scion generators to flip this card into Ormendahl, Profane Prince . If that wasn't possible, Ulamog, the Ceaseless Hunger was another card that you could ramp into from tapping and then sacrificing the scions. Vorinclex, Voice of Hunger - I had one of these first in my above mentioned casual deck that was mostly simic goodstuff, and even after that I made a place for it in a Vorel of the Hull Clade , Atraxa, Praetors' Voice deck alongside the other praetors for flavour and now he resides in my Kruphix, God of Horizons deck where one of my favorite things to do with him is cheat him into play with Natural Order to make tons of mana for cost cards or Helix Pinnacle . Winding Constrictor - Led a former standard deck of mine between Aether Revolt up until the later rotation all around +1/+1 counters. decks were all that I played in standard between Kaladesh to Guilds of Ravnica, only now with Ravnica Allegiance have I finally played a deck in different colours. 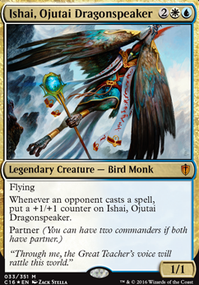 I still have one in my Atraxa, Praetors' Voice deck for now until I convert it to superfriends fully with War of the Spark. Kalitas, Traitor of Ghet - I played this card a ton when it was in standard and I have held onto my two copies of the card which see a bit of commander play in my Edgar Markov and Oloro, Ageless Ascetic decks. Definitely one of my favorite black mythics of all time. I might in the future consider using them in a modern deck mainboard / sideboard if I ever build some deck in modern. Cabal Coffers - There were so many cards besides this one I could still pick but this one really appeals to me as it embodies the power and greed that is black. Alongside Urborg, Tomb of Yawgmoth this is such good value, and I now use the card in two commander decks, Lord Windgrace and Gonti, Lord of Luxury . Dragonlord Ojutai , Hydra Broodmaster , Horizon Chimera , Bearer of Silence , Roil Elemental , Managorger Hydra , and Slivers!